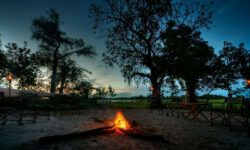 Kwara Camp is situated in the heart of the Okavango Delta within the private Kwara Concession. The camp offers a very relaxed, friendly authentic atmosphere. 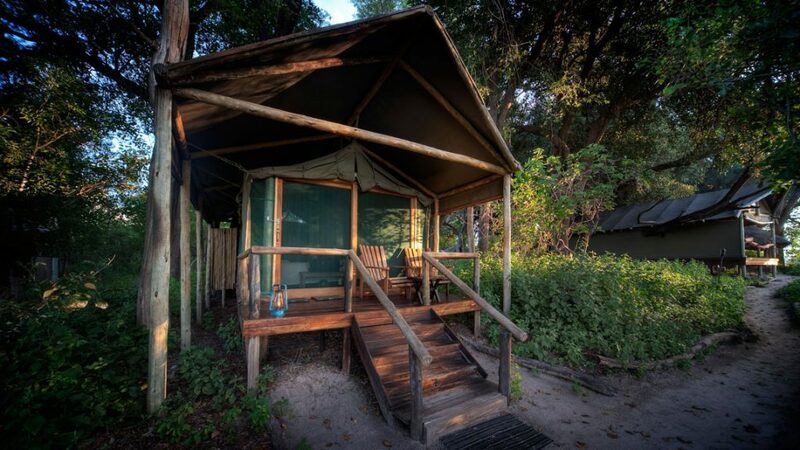 Located on the island of tall trees each of the 8 tents are situated on a deck overlooking the seasonal flood plain. 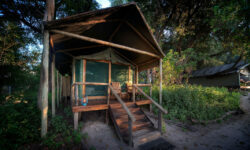 All tents are en-suite with flush toilets, double sinks and outdoor shower. 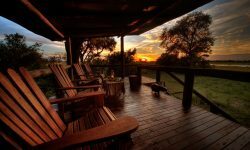 Rooms are simply and elegantly decorated with Zimbabwean teak furniture complimenting the camp atmosphere. Main area has a plunge pool, bar, lounge and a hide. Game drives are with a guide and tracker to enhance experience of the bush, being a private concession off road is allowed. The Mokoro trip is a quintessential delta experience. There is nothing as relaxing as gliding along the lagoon and channels with your guide. Fishing activities are also offered for 10 months of the year. There is also a double deck boat available at Kwara which is a perfect way to travel along the waterways and get great wildlife sightings. 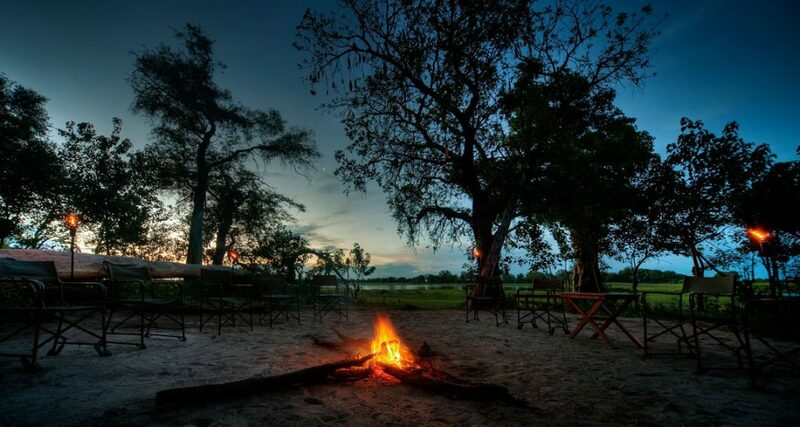 The concession shares a 30km water boundary with the famous Moremi Game Reserve and its unique location boasts both permanent water and seasonal flood plains as well as the dry bush wilderness.